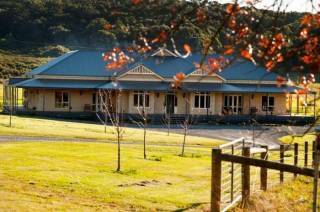 Accommodation in the Bays and Peninsulas, VIC region. Book holiday houses and apartments for rent or browse towns for accommodation. 551 properties found in this region. The Mornington Peninsula is best known for its bays, history and for being an ideal summer holiday destination, in particularly the seaside village of Sorrento. Sorrento overlooks Port Phillip Bay, the town is known for its historic limestone buildings, and its population of Bottlenose Dolphins as well as cafés and shopping including boutiques, galleries and specialist shops. Stop an have a picnic and visit the wineries with over 200 vineyards on the Peninsula to choose from. Swim in the beautiful clean bay waters and view wild dolphins or surf at one of the ocean surf beaches. There are many recreational activities on offer such as horse riding, bush walking through State Parks, golf, sailing, scuba diving, fishing and boating. Visit the Sorrento Art Festival in January and the Salt and Seaweed Sorrento Festival in March that showcases the region's food, wine and arts. Best of all the entrance to the Mornington Peninsula is only an hours drive from Melbourne. 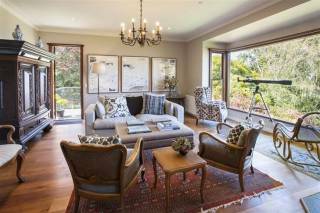 Other areas of the Peninsula include Frankston, Mornington, Dromana, Rosebud West, Rye and Portsea. You can also catch a ferry from Sorrento to Queenscliff. 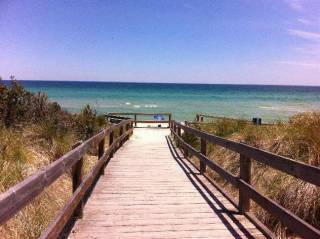 Choose the Mornington Peninsula for your next holiday destination for fun in the sun. Showing 1-76 out of 76 places found in this region. FREE WIFI Sandy Feet is nestled in a quiet Grove, within walking distance to the beach only 2 mins away and a creek at the rear of your own back yard teaming with bird life. Sleeps 8+ guests and has 2 bathrooms. FREE WIFI Sandy Toes Cottage by the Sea is only approx a 2 min walk away. Lots of walking tracks along beach and creek which is also on your doorstep. Large open and secure backyard, dogs are welcome. Sleeps 6 guests in total, including a bungalow. 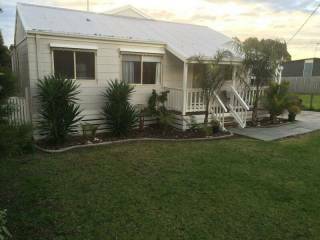 Located in popular Lakeside area of Pakenham. Overlooking reedy lagoon. Close to Freeway entrance. 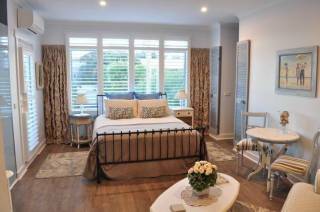 Tastefully furnished 4 bedroom double storey apartment with double remote car parking. Close to Lakeside walks, cafes, shops. Ducks, black swans and the resident pelican swim past your lounge window. 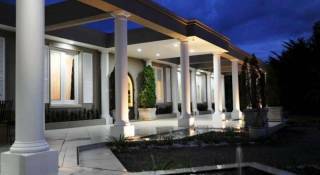 Double story townhouse, a home away from home for family groups or corporate stays of up to 8 people. Self contained modern Two bedroom apartment, two bathrooms, walking distance to beach, shops and restaurants. Sleep Six people, Bedding Configuration: Two Queen Beds. One Single and a double sofa bed in Alcove area. Retreat Style Garden Beach House, with plenty of space to unwind from the fast pace of life.The large luxe outdoor area is the perfect setting for clinking glasses. Add a Spa/wine/breakfast package to complete the picture. With park views, offers you an open plan with wood heater those winter escapes. In summer you will enjoy the short walk to the family friendly beach. Or relaxing on the covered deck watching the sunset. Our home can cater for all your needs. A perfect place for couples or the single traveller to relax by the sea. Romantic stays, Honeymoon,Anniversary, Birthday. 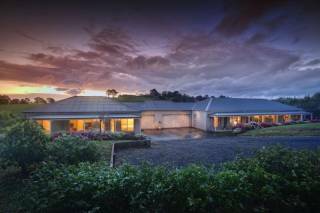 Private, 50 meters to beautiful Seaford beach. Walking distance to shops and restaurants. This beautifully recrafted cottage for one lucky couple has been styled for you by an interior decorater with love. 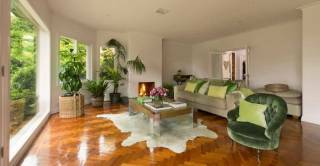 The cottage is in her own home garden and is extremely comfortable and beautifully decorated. 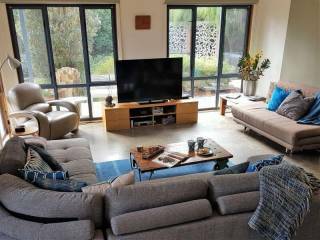 Expansive and stylish - this beautiful modern Country House just 3kms from Olinda Village in the Dandenong Ranges offers you the gift of beauty, space and time to be at peace with each other in nature. The house provides spacious living, dining and superb fully equipped kitchen with views over the garden. This is on one level as you arrive at the house. 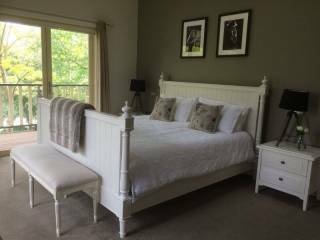 Clarendon's boutique guest accommodation consists of three charming cottages in a secluded, peaceful and romantic setting. Two acres of English country gardens and meadow nestle amongst a huge variety of beautiful century old trees. 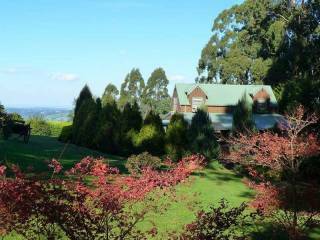 Situated in Tonimbuk, a picturesque location in West Gippsland, an hour’s drive from the Melbourne CBD, Tallawarra B&B Accommodation is an outstanding example of an Australian Colonial Homestead. Whether staying in a newly renovated Motel room, or Spa Suite, on your holiday, or assembling your closest friends and relatives, for the celebration of your Wedding. Norwood House is the place for you! 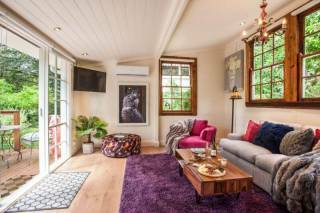 Gracehill Accommodation offers a romantic break for a couple or a relaxing experience with family and friends in Olinda, the heart of the Dandenong Ranges. 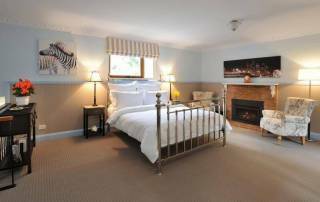 Guests have a choice from 4.5 star rated 1, 2 or 3 bedrooms. Displaying 1-20 of 551 results.